Every new research paper and the headlines it generates should always be treated with a healthy dose of scepticism. “Rate of Sea Level Rise ‘Steeper’,” says the BBC. “Sea level rise faster than previously thought,” says the Guardian. Reading some of the articles emerging from a recent research paper you would have thought that it was now certain that sea level rise was getting faster, and that mankind was almost certainly to blame. An important thing to remember when reading research papers is that they are rarely the final word on any subject. They should all be treated with scepticism along the lines of being the thoughts and analysis of a group of scientists placed in front of the scientific community to see what they think. In many cases, if not most, the research paper is modified if not superseded fairly quickly. This fundamental fact of scientific progress is however unappreciated by many in the media who are wont to declare a research paper as the “answer” to a problem, a “breakthrough” or at least a definitive and unarguable contribution to knowledge. Such a contribution, and not the final word, is an interesting paper published in Nature concerning sea level change that has prompted the dramatic headlines. The researchers consider tidal gauge measurements of sea level stretching back over a hundred years. Of course such measurements are difficult to make and analyse because the sea and the land are constantly moving, often in ways that are not fully understood. Nonetheless it has been established beyond doubt that sea level has been rising at least for the past few centuries. The results of this latest work are best seen in their Fig 2 which the researchers maintain show that the rate of sea level rise has increased since about 1990. To my mind one has to be very careful in interpreting this graph. No matter what novel statistical analysis is performed I don’t think the conclusion that sea level rise has accelerated in the past two decades is a robust one as there are wide errors and indications of cyclical behavior in the data. This latest work must be seen in context with other analyses from which it is clear that the situation regarding a recent increase in the rate of sea level rise has not been established. A statistically obvious rise is ruled out by the data and differing analysis techniques yield differing results. In 2012 Bruce Douglas of NOAA’s National Oceanographic Data Center, writing in the Journal of Geophysical Research – Oceans looked for sea level acceleration in long-duration (> 75 years) tidal gauge data. He concluded, “there is no evidence for an apparent acceleration in the past 100+ years that is significant either statistically, or in comparison to values associated with global warming.” Many more decades of data are required he says. Further problems come from any quasi-periodic signals that might be found in sea level data. Chambers et al (2012) finds evidence of a 60-year oscillation in global mean sea level and caution that its recent rising phase could be mistaken for a recent acceleration in sea level. Church and White (2011) look at the 16-year period 1993–2009 and after correcting for glacial isostatic adjustment, their estimated rate of rise is 3.2 ± 0.4 mm/yr from the satellite data and 2.8 ± 0.8 mm/yr from the in situ data. The linear trend from 1900 to 2009 is 1.7 ± 0.2 mm/yr and since 1961 is 1.9 ± 0.4 mm/yr. There is considerable variability in the rate of rise during the twentieth century and in contrast to other researchers they find a statistically significant acceleration since 1880 and 1900 of 0.009 ± 0.003 mm/yr and 0.009 ± 0.004 mm/yr respectively. It is clear from the data that there are periodic departures from a linear trend on short timescales. This is obvious when one looks at the considerable variability in the data. In some analyses there are maxima in the rates of sea-level rise of over 2 mm/yr in the 1940s and 1970s and nearly 3 mm/yr in the 1990s. The most recent rate of rise is at the upper end of a the trends but is not statistically higher than the peaks during the 1940s and 1970s. Thus the 1993-2009 data must not be seen in isolation. I conclude that the case that the rate of sea level rise having increased since 1900 has not yet been conclusively made, and that the recent Nature paper is a fascinating contribution to this debate. I also conclude that headlines should be treated skeptically. 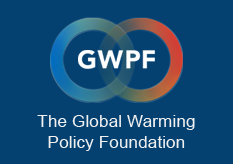 For more on sea level rise see this GWPF report.